The League of Striving Artists is the student art organization at UT Martin. 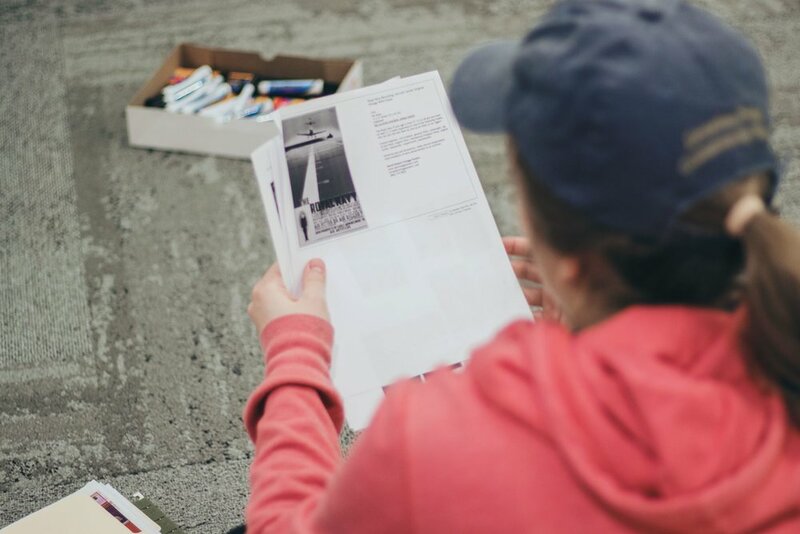 Comprised of graphic designers, studio artists, art education students and non-majors with a passion for art and community, the group completes multiple service learning events and projects each year. 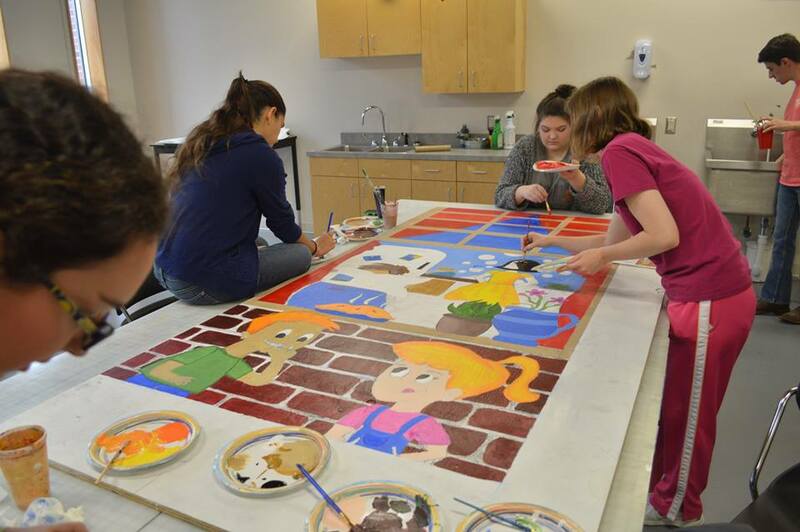 These projects build skills in concept design, artistic skill planning, execution and finishing of art pieces in a group learning environment. A handful of notable projects and events are featured here. As Vice President and then President of the Organization from 2015-2018, I have been thoroughly involved in each of these events--from organization and planning to finishing the projects. 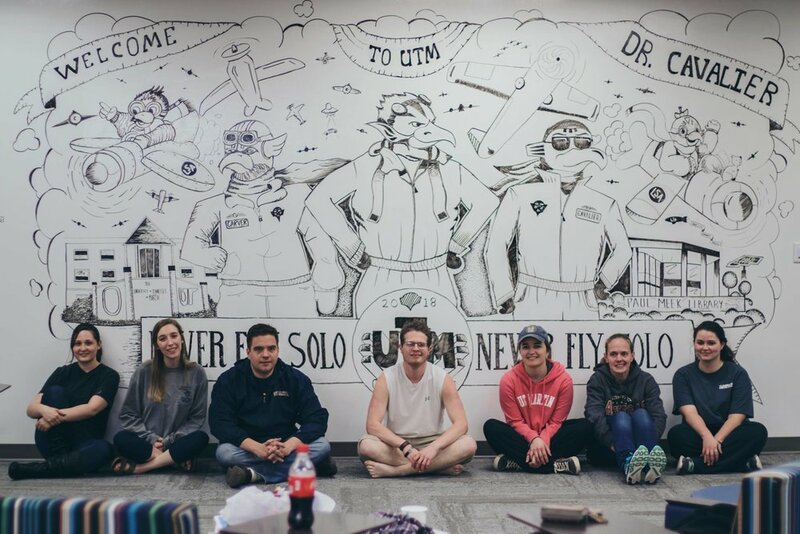 In March of 2018, LSA was asked to create a dry erase mural to welcome the incoming Provost & Vice Chancellor for Academic Affairs, Dr. Phillip Cavalier. I worked with a team of other designers and artists to create the mural in the Student Life Office. 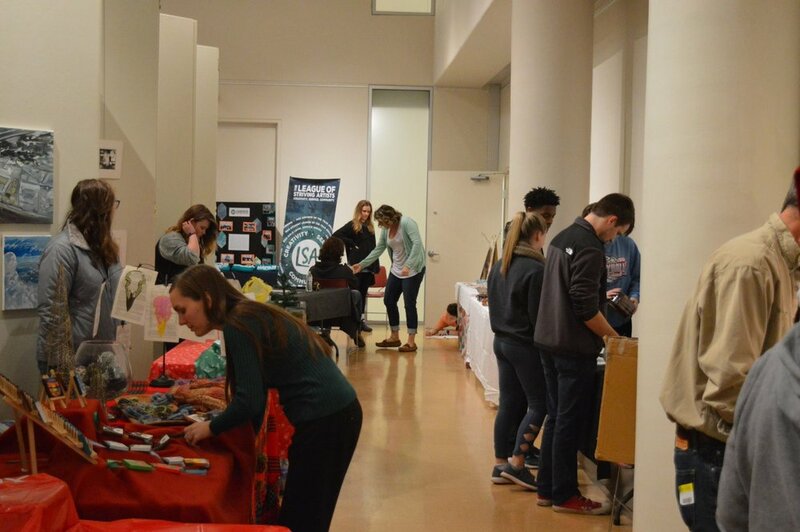 From 2015-2017, I worked with a team of students to coordinate the annual League of Striving Artists Holiday Art Bazaar, a fundraising event for the organization in coordination with the UT Martin Department of Visual and Theatre Arts. The three-day event featured over 25 vendors with a variety of arts and craft work. 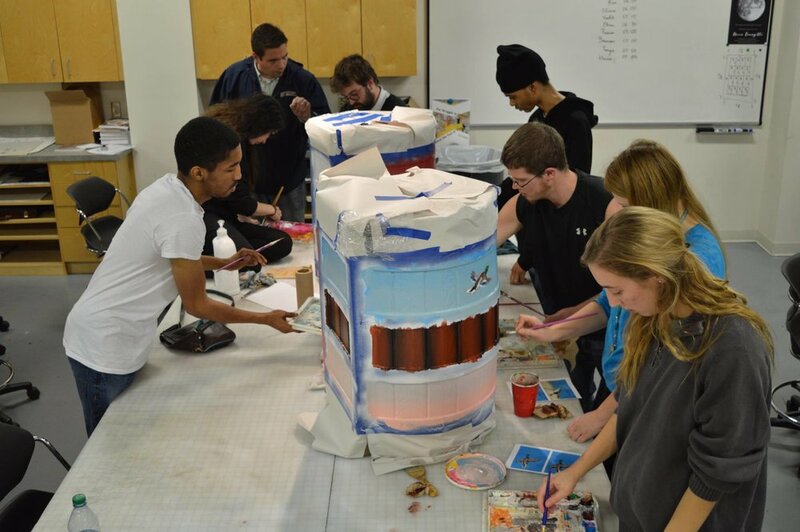 In November of 2017, the League of Striving Artists partnered with Reelfoot Lake State Park to paint wetland scenes on rain barrels which would be used to collect and re-use water in the park. I was involved with coordinating the project, helping to design the scenes for the barrels and then working to complete them along with a large group of other LSA members. 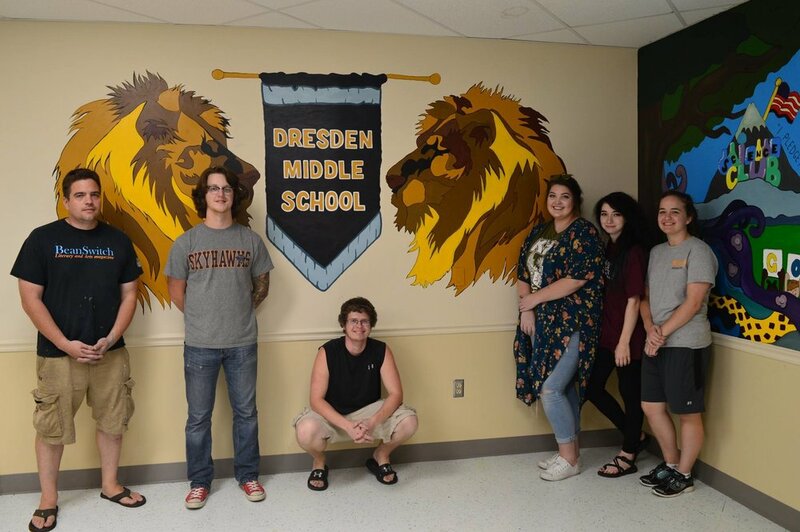 Throughout the spring of 2017 and into September, LSA created designs and color schemes for a two-wall mural at Dresden Middle School to be displayed in the school office. 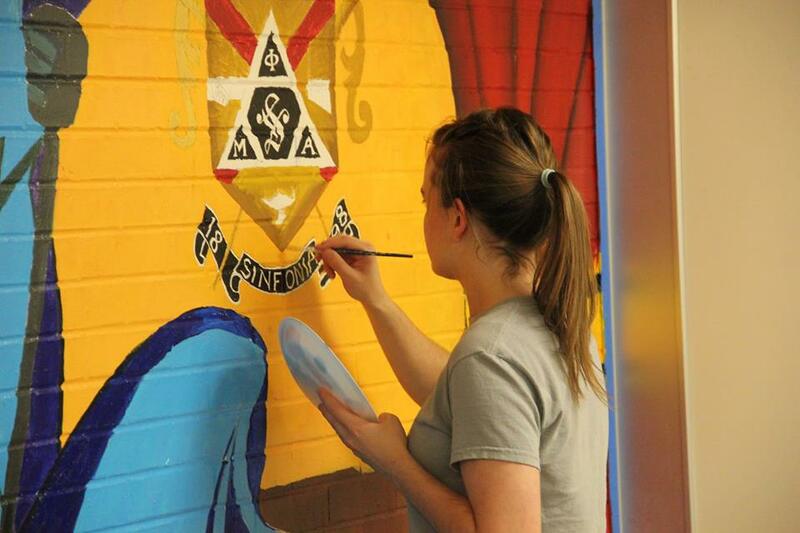 In September, members spent three separate days painting the mural on the walls of the office. I was involved in the project from early planning stages through its painting and completion. 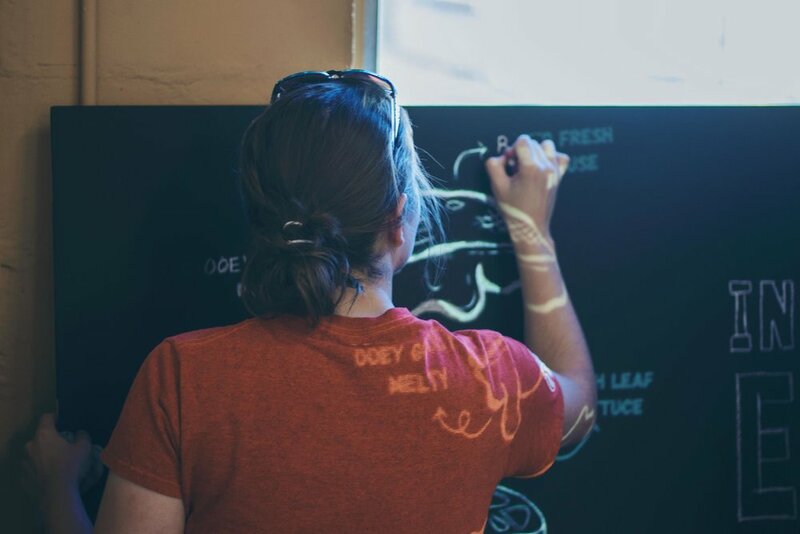 In the Summer of 2017, LSA was asked to create a series of chalk murals to be displayed in a new local restaurant in downtown Martin. I worked on layout of the pieces, as well as the setup and drawing of the boards. 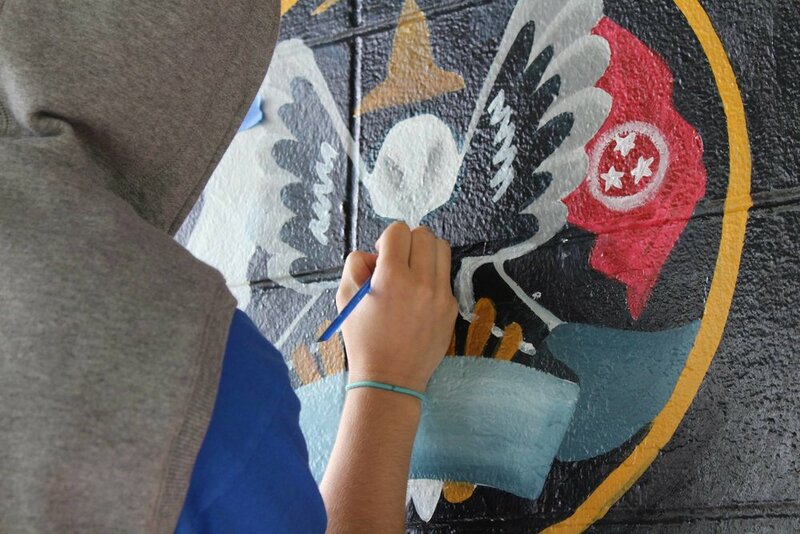 From April - May of 2016, The League of Striving Artists worked to create a mural design for the 2016-2017 FY Placemaking Grant received by the City of Dresden, TN. I worked with 11 other artists to layout, paint and finish the mural over six days in May of 2016. 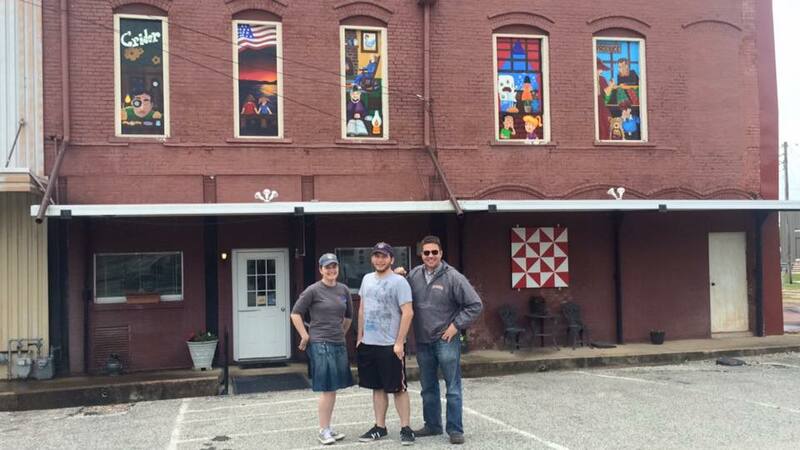 From September 2015 - April 2016, LSA partnered with USO (University Scholars Organization) to create a series of five small murals to go in the second story windows of historical downtown Bradford, TN. I helped to coordinate the event, and worked with the group on creating designs, color schemes, laying out designs, and painting the murals. 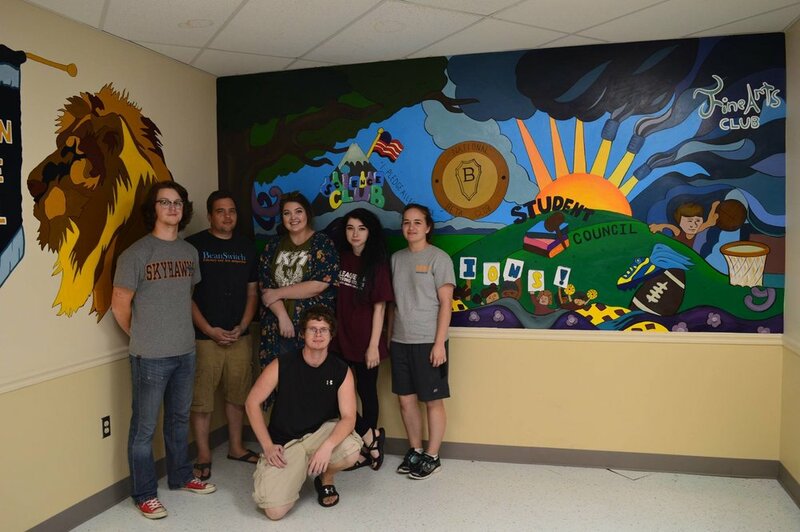 In Fall, 2015, The League of Striving Artists created a large mural on the wall of the student lounge in the Fine Arts Building. Over two dozen student artists worked on this project. 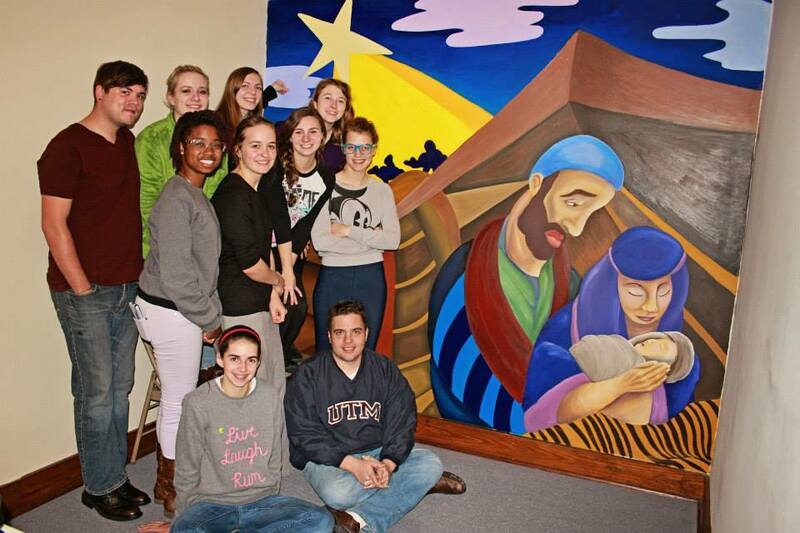 I worked with the group on creating color schemes, painting, and finishing the mural. 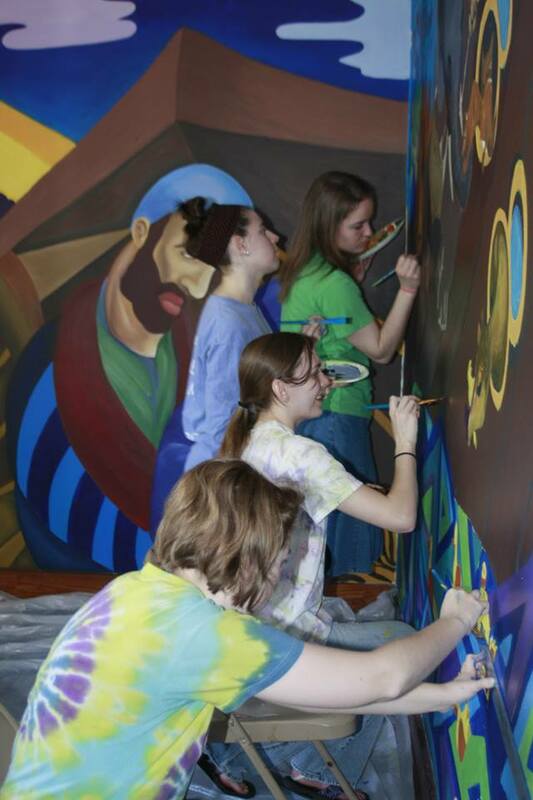 In November 2014 and April 2015, I worked with LSA to paint a three wall mural in the nursery of a local methodist church. I created the color scheme for the long wall, and helped to lay out and paint the murals.